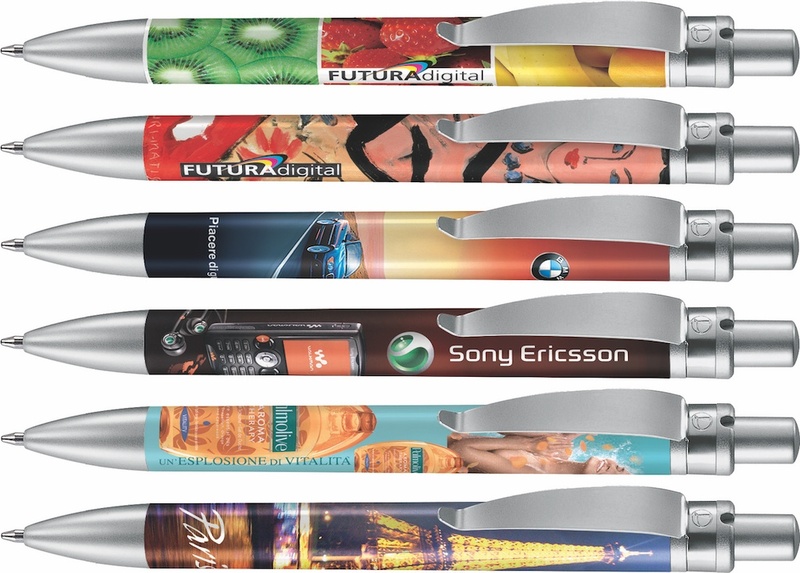 The Futura Digital is a quality ballpen with satin silver trim and metal clip. Communicate your advertising messages, corporate logos, brands, products and services using a 360° print area. The photographic quality artwork can be reproduced along entire barrel. Spot colour printing also available.